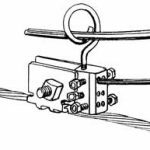 The EMC lashing wire clamp is used for telco and CATV aerial plant to terminate and hold the end of the lashing wire, either at an interruption in continuity or at the end of the lashing wire coil. 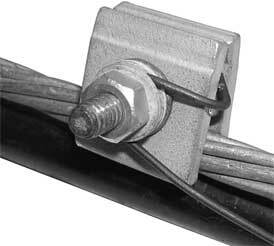 Also used to hang terminals and splice cases from strand. 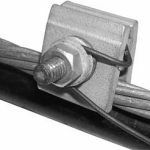 Works with 1/4″ (6.6M) to 7⁄16″ (16M) messenger strand. Mechanically galvanized for superior corrosion resistance. 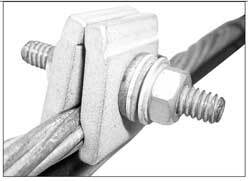 Functional equivalent to the D” lashing wire clamp.